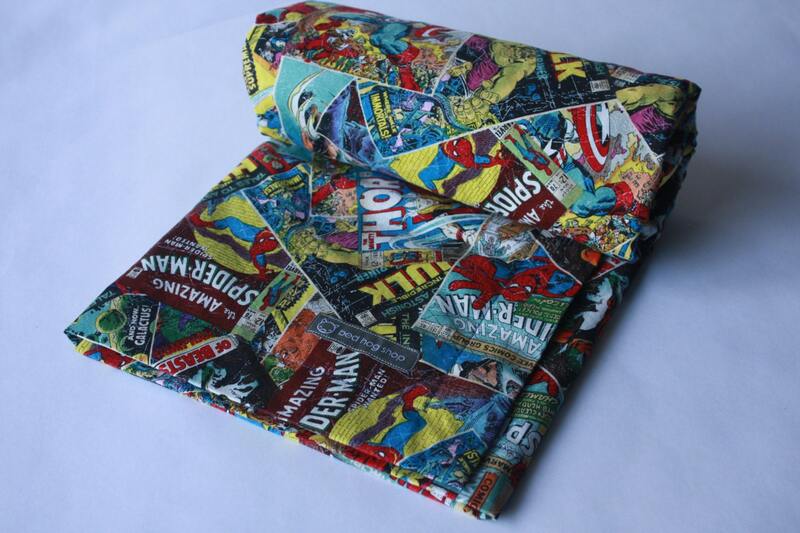 This baby blanket features a retro comic book design with several Marvel comic book characters including Spiderman, the Hulk, Captain America, Iron Man and more! 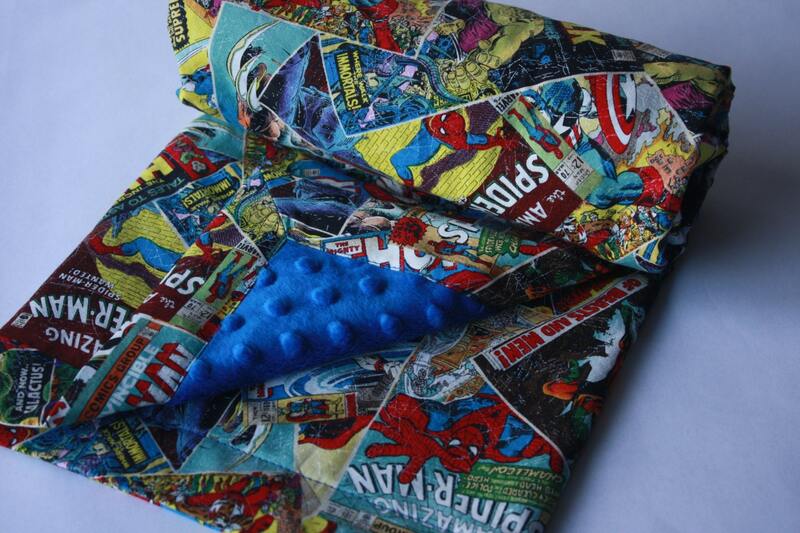 with royal blue super soft minky polyester back. This blanket has a 1 1/2" border. Perfect for the crib, to use for swaddling, and definitely to take along as a stroller blanket. Finished size: 35" x 45"
Production time is approximately 1-2 weeks. I purchased this as a gift for my daughter. She's going to be so excited when she opens the gift. It is beautifully made. Would highly recommend.. 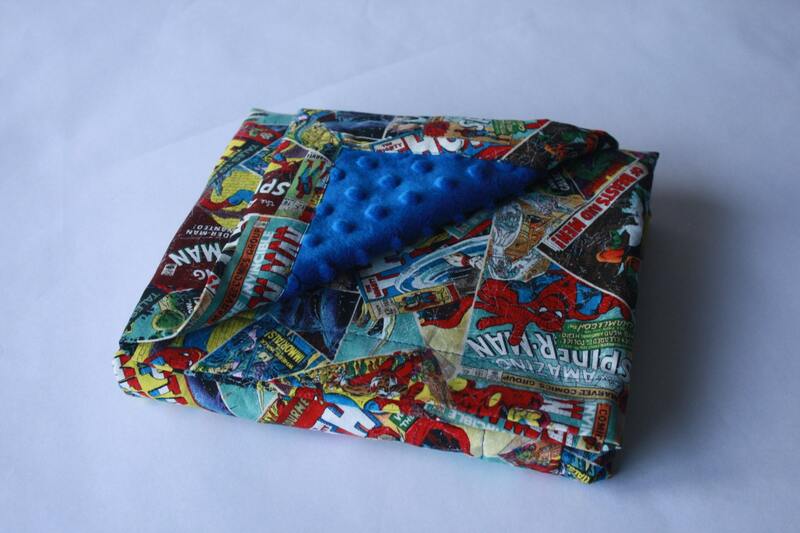 Purchased this and another Marvel blanket. 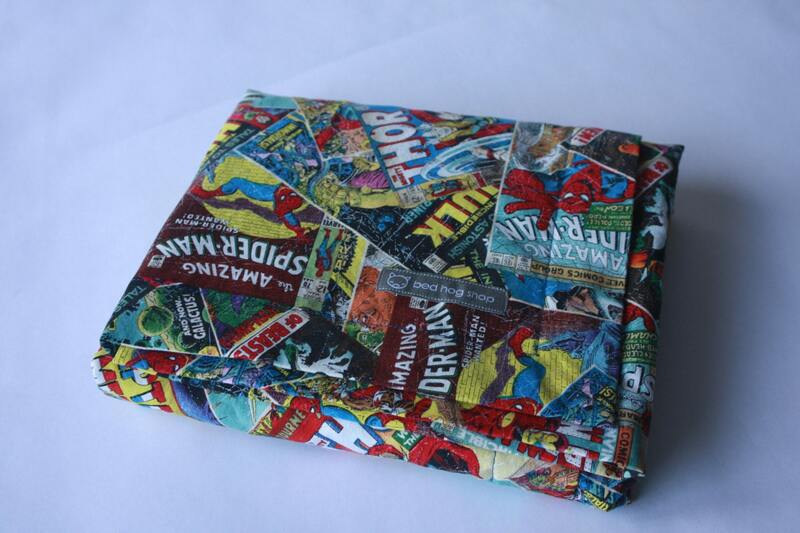 We have a Marvel theme in the nursery, and these go perfectly! We live in Florida, and these are a good weight for our mild winter days. We loved it! 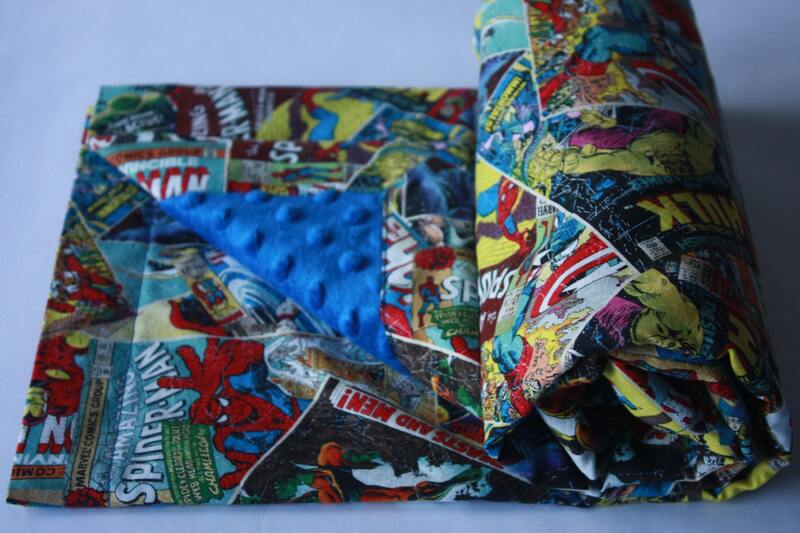 We ordered two different marvel blankets to go in our baby's nursery and they are so soft and very high quality. We are obviously going to be careful when laundering them to make sure they stay that way. They both came really fast so we had them in time for Christmas and were able to show them off to company! Fabulous blanket. Arrived quickly too.